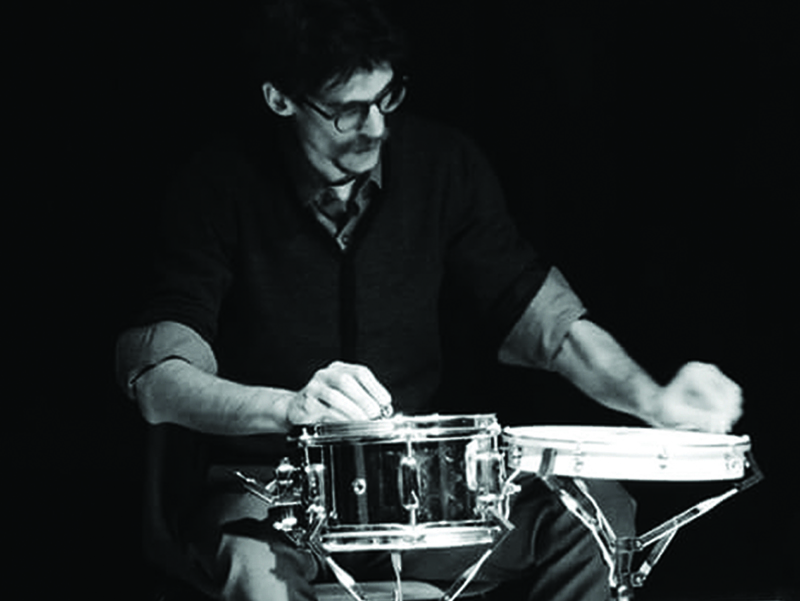 Marco Clivati’s personal approach to percussion, sonic sculptures, self-made instruments and electro-acoustic music started in 2005. His peculiar research on various objects resonance has been perfected through workshops with Eddie Prevost and Filippo Monico. His work found a natural declination in performances with CLAN, an improvised/noise trio, in his collaboration with double bassist Simone Fratti and dancer E. Pellegrini, and later with guitarist Filippo Giuffré and dancer Silvia Giuffré. Documented on four international labels net-releases, CLAN trio gave several performances in collaboration with Takla Improvising Group in Milano in the last years. More recently Marco collaborated with musicians like Luca Pissavini, Fabrizio Testa, Dario Fariello, Vittorio Garis, Gianni Mimmo, Luca Venitucci, a.o. Since 2015 his research is more oriented on electro-acoustic situations through the use of modular synthesizers, small amplified drums, dc motors and solenoids.